OvenFix - Appliance Services/Repair based in Purley, Greater London. Invoice history based on 63 reviews. 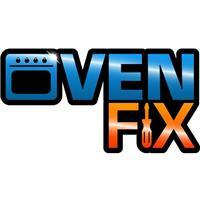 OvenFix is a small, specialist Electric Oven Repair company, run with pride by Chris. I have over 20 years’ experience repairing electric ovens & cookers & cover the whole of South London, plus most of West London, South East London, Surrey & West Kent. As I only repair ovens, I have an expert knowledge of thousands of makes and models produced over the last 25 years. AEG, AWT, BAUMATIC, BEKO, BELLING, BOSCH, BRITANNIA, CANDY, CANNON, CAPLE, CDA, CREDA, DE DEITRICH, DELONGHI, DIPLOMAT, ELBA, ELECTROLUX, FIRENZI, FLAVEL, HOTPOINT, IGNIS, IKEA, INDESIT, KENWOOD, LEISURE, NEFF, NEW WORLD, PHILLIPS, PROLINE, RANGEMASTER, SARENA, SERVIS, SIEMENS, SMEG, STOVES, TECNIK, TEKA, TRICITY BENDIX, WHIRLPOOL & ZANUSSI. South London, SW London, SE London, West Kent, Surrey.